Welcome to the website of the World Combat Association (WCA). 2016 sees the 23 year anniversary of the founding of the UK’s British Combat Association (BCA) by Peter Consterdine and Geoff Thompson; an organisation that changed the face of martial arts, not only domestically but in a wider international context. Whilst we started the BCA as a ‘home’ for instructors who felt they had reached a ceiling within their existing organisation, particularly for wanting to research practical issues, we had other key principles that we started and have maintained consistently for the intervening 23 years. The first of these principles was NO POLITICS. Having seen, first hand, the destructive effects on the UK Karate scene of ‘power politics’, Geoff and I were committed to providing a home for instructors and students where an apolitical atmosphere would pervade and where freedom existed for, say, a karateka to train in Judo, or a grappler in punching and kicking systems. We actively encourage our instructors to look outside the BCA, if necessary, to other groups who may be practising a system that will fit with the individual’s needs. The WCA is run on exactly the same non-political lines. Our view has always been that if you build walls around people, they will only ever look for ways to climb over them. The other guiding principle we wanted to establish was to create a ‘family feel’ to all our Associations. This we have achieved and I know of no other organisation that has such a friendly, helpful atmosphere, particularly given the awesome ability of our senior instructor cadre. 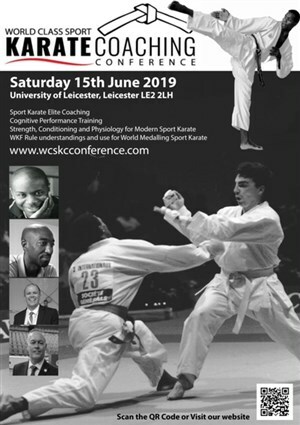 The WCA provides a ‘home’ for all those like-minded martial arts instructors, for whom domestic, traditional organisations may not be the answer. We know that in many countries it is still the main, ‘style’ organisations that predominate and that the practical martial arts instructor is often a voice crying in the wilderness. Membership to the WCA provides both a home of international recognition, as well as strengthening the standing of members group on their own, domestic stage. The WCA website will promote the international member groups. Q. Is the WCA open to UK domestic organisations? No. The WCA is the home of our international clubs and instructors for whom the BCA or BCKA wouldn’t be appropriate. Q. Will we miss out on not being part of the domestic Associations? Obviously the events that regularly take place within the BCA/BCKA network are unavailable for our overseas members, but we try to make up for the issue of distance by providing a huge range of resources within the ‘Instructor Zone (videos, articles and training tips) and linking people together across the whole Combat Group network. Q. Can the WCA recognise gradings for overseas instructors and students? Yes. We have grade recognition certification, no different than that which operates in the UK. Martial Arts Dan grades are universal and traditional arts have a common route that makes recognition for our international Instructors and/or their students a standard procedure. Q. Is the WCA a style Association? Absolutely not. The WCA mirrors the BCA in that we have some very traditional oriental martial arts and a good mix of modern combatives. The reasons people have come across to us in the WCA again mirrors our domestic experience in that some instructors are escaping the restrictive and controlling style associations, are wanting to develop a progressive syllabus, or simply want to tap into all that we have to offer and can help with. Q. Is WCA membership just open to Instructors? No. 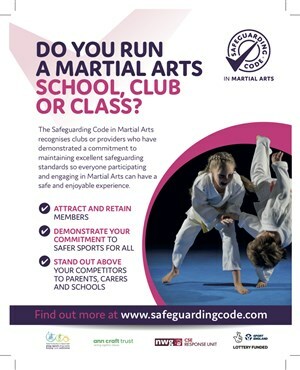 As with our UK Associations, membership is available to Clubs, their Instructors and students, but also to those Instructors who do not operate through the typical martial arts club structure. Q. Can we obtain insurance through the WCA? No. We are only able to organise insurance for UK based instructors and students, the exception, however, being Ireland for which we can organise the complete range of instructor and student cover.